A new source of support for mapmakers is spreading internationally. With so many sectors and niches, the spatial/IT industry was falling into silos. Then, seemingly from out of nowhere groups started appearing, first in the United States and then in Europe, under the label “Maptime,” in a similar fashion to the hackathons a decade ago. What is Maptime? Co-founder Beth Schechter explains. Maptime is an open learning environment for all levels and degrees of knowledge. We offer intentional support for mapmaking beginners, including tutorials and educational resources, and now a growing international community. This focus on the beginner is a large part of what sets us apart. My experience learning to make maps was neither fun nor easy. I have countless memories of being up late at night, looking through forums trying to solve problems that I didn’t quite understand and finding myself afraid to ask questions for fear of ridicule. If it weren’t for my innate fascination (and very patient programmer friends), I would have given up long ago. Maptime co-founder Alan McConchie (back, left) teaches Tilemill 1 and 2 at a Maptime meetup at Stamen’s offices in 2014. Credit: Christie Hemms. The popularity of Maptime has taught me that I’m not alone in this. There are lots of people who are just as fascinated with learning how to make maps but hesitate to get involved with hostile online communities and/or to devote extra time to learning something technically challenging alone, with minimal support. We welcome questions, and not one of them is too basic. People crave learning in this kind of environment, and they come to us in droves. The community has grown rapidly and organically as a result. xyHt: How did you and the other co-founders create Maptime? The foundation of Maptime was just as organic as the community it created. The original idea was based in basic Zen intentionality: if you want to do something, you have to create time for it, and then you have to do it regularly. I also heard a lot of my girlfriends say they wanted to learn but could never find the time. I’m pretty sure I said that myself, too. Sparked by Alyssa Wright’s State of the Map 2013 talk about the lack of diversity in OpenStreetMap, I made the decision to make the time, once a week, to devote to this practice. Anyone would be welcome. Camille [Teicheria], one of our cofounders and former coworker at Stamen [a data visualization, mapping, and design studio in San Francisco], was by my side when this happened. She supported a lot of our first meetups before taking on a coding educational endeavor all her own at Hackbright Academy. Alan [McConchie] and I met at that same State of the Map, and shortly after that he joined the Stamen team. He loves to teach, and he loves to Tweet, so in no time he started helping out with lessons and get-togethers, Tweeting about it all the way. That’s how we met Lyzi [Diamond], who was in Portland at the time and had been thinking about doing something similar. Maptime was a perfect framework for her, so she started a Maptime in Portland. Her passion has attracted chapters all over the place, and her energy for onboarding new chapters and prolifically creating educational materials seems endless. Now Camille is back, using her newly developed technical prowess as a developer at Mapbox and also helping us move Maptime forward. Together, we make a really great team. The framework allows for anyone to use their talents to help the cause. Like writing? There’s blog posts to be done. Design? Technology? The website always needs a thing or two. We encourage all chapters to have multiple organizers, too, so that organizing duties can be shared. I’ve found, to my delight, that our participants all really want to help, so it’s just a matter of finding the right thing for them to do. I first found out about Maptime in the summer of 2014 and was immediately inspired by their ethos, intentions, and approach. I have for a long time thought that the barriers of entry into the world of geo are too high, and training can be either hard to find or very expensive. With the abundance of open software and open data, this should no longer be the case. I discovered Maptime through Twitter and was directed to Maptime.io. I knew that it started in the U.S., but after looking at the Chapters map and panning across The Atlantic I was surprised to discover that there were no chapters in the UK. I work for Ordnance Survey, the great British national mapping agency, so I’m fortunate to be closely connected to the industry and know that there is a fantastic, innovative group of map-makers here on our shores. Where better to start a chapter than Southampton, a city with a rich history (Titanic, Spitfire) and home to the Ordnance Survey and a university with a fantastic geography department. I reached out to Maptime HQ, and they were supportive in helping me get my chapter off the ground. They supplied useful documentation and pointed me in the direction of all the available resources. I set about looking for a venue and a sponsor (just to cover the venue cost), as I was keen to keep the meetups free to attend. It didn’t take me long to find a venue that fits the bill perfectly. The Art House is in the city center, and its ethos aligns with that of Maptime. It is fabulously informal, run by volunteers, and harnesses and supports local communities. The guys at the Open Source Geospatial Laboratory very kindly agreed to sponsor the inaugural meetup in November 2014, and so Maptime Southampton was born! Since that initial meetup we have had two more, and they have been great successes with 20 people at each. We have covered OpenStreetMap, Mapbox Studio, and Leaflet and have already started planning a QGIS workshop for our next monthly meetup. I am also lucky enough to now have four offers of sponsorship: a great sign that there is real interest in what we’re doing. I would encourage anyone in the mapping/geo industries to start a local chapter—it’s a great place to learn a ton of new stuff, share knowledge, and socialize with like-minded people. Organizing a Maptime chapter has been fun and rewarding, and I am excited to learn more at our future events alongside a really great group of people. I’ve got loads of ideas about different formats for our meetups and also plan to have social outings. If you’re interested in starting up a chapter, visit maptime.io for more information. The whole Maptime community is really supportive, and it’s a great thing to be part of! 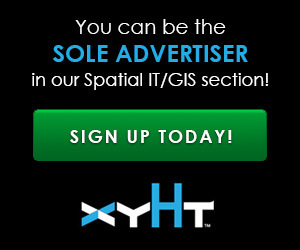 xyHt: What do you think is the appeal of Maptime? Before Maptime, there really wasn’t a great way to find resources in plain speak about how to use the technology, much less an intentionally kind and supportive community. We want to make it easy for people to learn, and people are attracted to that kind of space. It’s also free to attend. People no longer have to pay to find out whether they do or do not like a subject, at least not this one! Outside of this intention and framework, our social media presence is a huge reason why we’ve become so popular. If I were doing this alone, it never would have happened this way. Lyzi and Alan are social media butterflies. It’s thanks to them that the idea has been able to spread. It’s also worth noting that it wasn’t just the founders who were having these ideas around cartographic education. OpenGeoCleveland, for example, was already doing educational work before cobranding with Maptime. The idea hit at just the right time. I used to work for Burning Man and do lots of volunteering for Burning Man artists. During this time I fell in love with their “10 Principles,” which I still keep close to my heart. The principles of Radical Inclusion, Radical Self Expression, Communal Effort, Civic Responsibility, Participation, and Immediacy all are very important to the spirit of Maptime. They aren’t written into any rules, but they are felt in our actions and spirit. xyHt: Was it always the intention for Maptime to grow in the way that it has? Maptime started with no thought of expansion, but we did like the idea of it being a model for learning that could be easily adopted. The model worked, and our community really enjoys supporting one another, so we’ve stuck together and grown. There are groups starting in Europe, Africa, and Asia now, and we’ve also received inquiries from South America. It blows us away. One of our biggest challenges now is localization. Someone reached out months ago from Japan asking if any of us spoke Japanese, and I was crestfallen not to be able to make the connection. I never would have thought that these would be the challenges we’d be trying to solve when we started this a year and a half ago. xyHt: Where do you see Maptime going? Maptime is working quickly to become a bonafide 501(c)(3) nonprofit so that we can start fundraising and expanding what we do. Stamen has been an important part of this process, helping us to get on our feet through legal support and then some. In the future, we hope to put on a Maptime conference, offer trainings to our organizers, and work with kids. I’d also love to find a way to use Maptime as a bridge to technology education in low-income or otherwise at-risk communities. Our mission is to get these tools into the hands of everyone who wants to use them, and our future actions will follow suit. What sets us apart is that we have created, rather organically, a growing international community of people who are all interested in teaching and learning about everything related to making web maps.